Standard Fields are predefined within the Operate system and correspond to the section to which they are associated. You can make changes to the standard fields, but they cannot be deleted. You cannot create new Standard Fields; but you can create Custom Fields. To manage your Standard Fields. Go to Settings > Customize > Select the section for which you want to manage your fields > Select Standard Fields. NOTE: There are some standard fields that are mandatory in the system, you will not be able to make these non-mandatory. To edit one of the fields, click the Field Label link. Here is where you will see the information associated to this field. Click Edit on the right, to be able to edit your field. Field Label - This is the text that Operate will display next to the field. Help Text - You can enter some text that helps users fill out the field. This will appear in grey onto the field, but will not be saved as a value if you decide to leave the field blank. Required - Ticking this box makes the field mandatory, so that the user cannot save a record without populating this field. 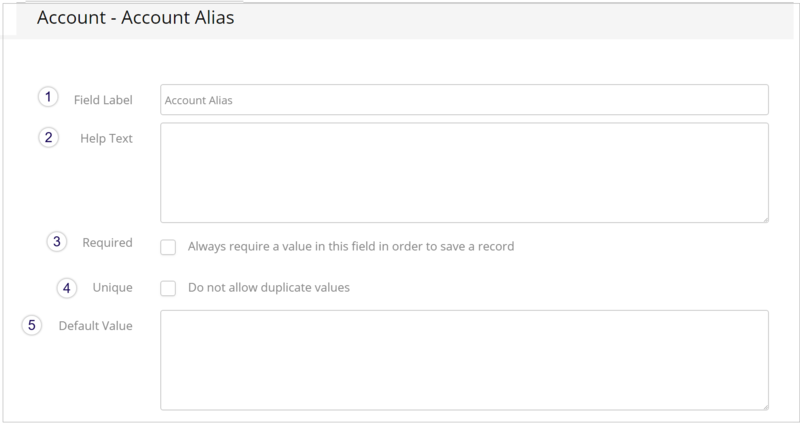 Unique - This checkbox will prevent the field from being populated with duplicated values, found on other records. In the example below, for instance, it would prevent users from creating Accounts with the same Alias. 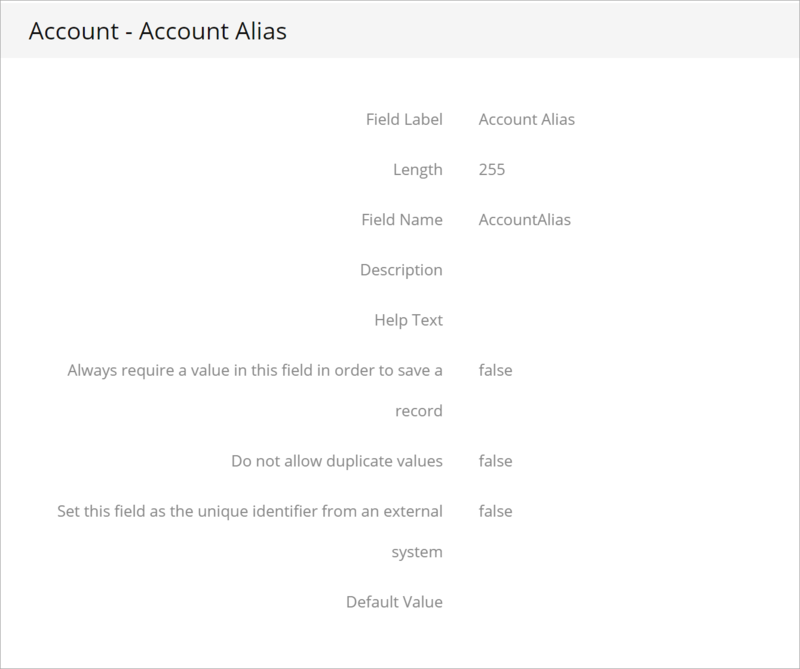 Default Value - This is where you can add a value that gets filled out automatically onto the field, every time a record is saved. The value can be blank or it can be anything you choose to add. Click Save when you are happy with your setup and want to enable the changes to your Standard Field.